We did tell you that we were going to have another brilliant piece of Art for you by our resident tag team champions, Peaches Pacione and Lewis unknown. We are not people who go back on our words, so without further ado we’d like to present you with a hilarious and edgy story entitled “The Tragic Tale of Nickolaus Albert Poe”. Readers, be advised to NOT drink any beverages while reading. It just might be harmful to your keyboards. 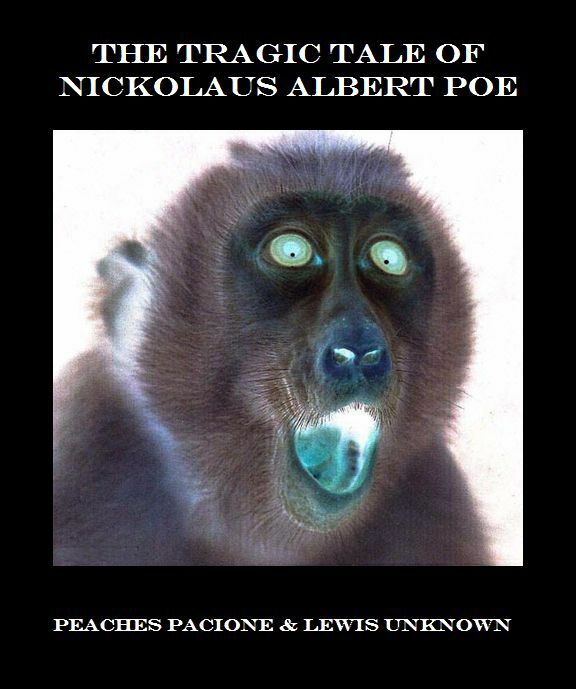 The Tragic Tale of Nickolaus Albert Poe – Look upon these words, ye mighty… and despair! The work is public domain, so share & enjoy. Click image to download your copy.